So this is what the kids and the water situation looked like when we started. Anything could and did get into the spring. Nasty! But wait....the chief, elders and community came together and we have fresh running water at our school in Achilet. 150 students and teachers enjoying the community labor of love. That's partnership! That's community! That's just Awesome! The kids following me around this village when the Lord spoke to me to start our first school. Behind them you see the spring used for water....that any human, animal or....you get the picture! 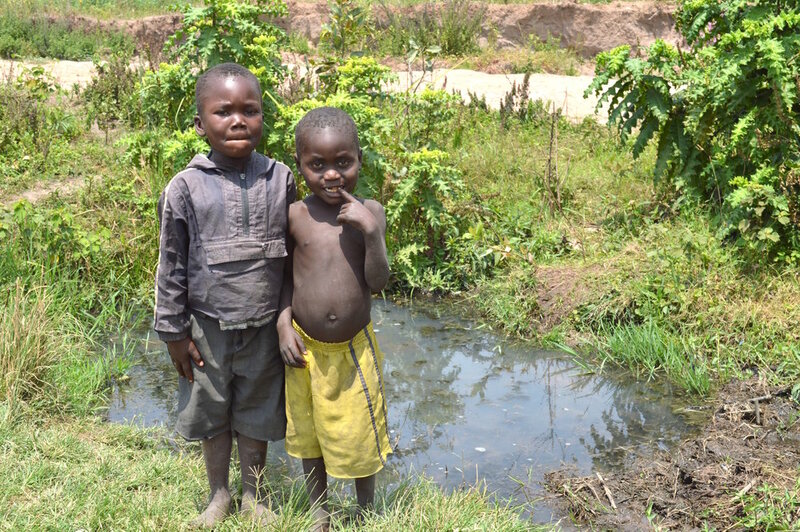 Here are the kids and teacher enjoying the brand new water line! No more fetching and it is clean piped from the city! The chief and elders of the village collected the money for the project. Water to make porridge in the morning. Cook lunch in the afternoon. Clean up messes with and the occasional awesome cup of water! Many of you are a part of this story! When you give to Break the Cycle Global we are able to carry on the mission in E Africa. This is what I believe it looks like when the Kingdom of God is expressed on the earth. May His Kingdom come, His will be done, on earth as it is in Heaven! If you are not already a part of the story we would love to have you join us! Just click the button below! Click here to be a part of the story!